A range of Flow Switches for Hazardous Areas (Exd or Exia). Reliable magnetic piston and reed switch configuration. Designed to cater for pulsed or steady flows. 316 Stainless Steel contact materials to DIN 50049 31B/EN10204 3.1.B. Other non-ferrous materials available. Normal flow capacities up to 10,000 l/hr. Larger versions available. Calibrated flow rates down to 0.05 l/hr. 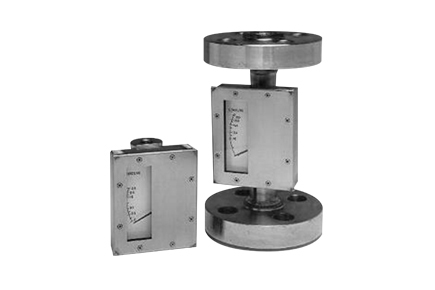 Working pressures in excess of 700 bar g.
Each unit supplied with calibration, hydro-test and material certification as required. Flameproof or intrinsically safe areas. Chemical injection systems to oil and chemical industry standards.